Barcelona's Twin Towers, called 'Las Torres Gemelas' in Spanish, are tied for the tallest buildings in the city. 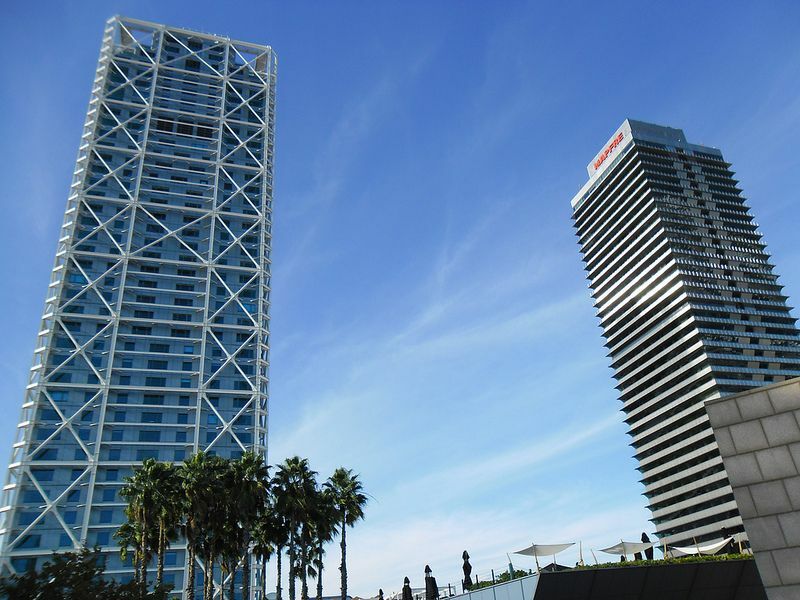 At 154 metres tall, the Torre Mapfre (on the right) and the Hotel Arts (on the left) look over the Catalan capital from their location by the beach at Port Olímpic. The Torre Mapfre is owned by insurance company Mapfre and is home to their offices, as well as those of several other companies. Its sister, the Hotel Arts, is quite different as it is one of the city's most luxurious hotels. Many a celebrity has been known to stay in one of the Hotel Arts' 483 rooms that overlook Barcelona's beaches.